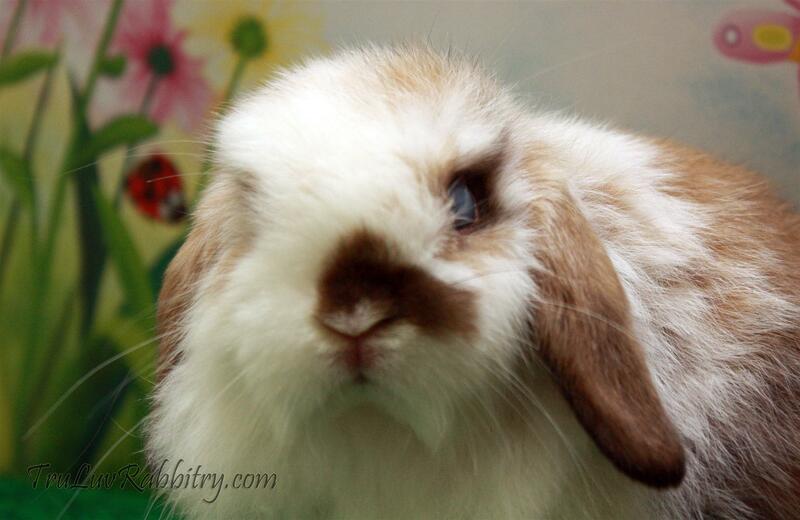 ← Would You Like To Have A Pet Rabbit? After just one hour of posting photos of rabbits available, all four has been spoken for. In the process I found very compassionate people too. It is totally unexpected and I would love to write about it. Being in the show rabbit world set one’s mind to such that there is no room for imperfection. If it gets really serious, it is all about discarding the undesirable. I am not sure how others feel about this and if all breeders share the same sentiments. Perhaps, I may not really fit into the picture. As a breeder who cares for his rabbits, I worry most for these imperfect babies. A small injury may cause the chances of getting a home to almost nil. I usually spend more time and effort on those with problems hoping that they will eventually grow up healthy and well. At the back of my mind, I am also very discouraged by the fact that no one may want to have them but today I was proven wrong. You really cannot blame me for thinking that way because I have learned that in this part of the world, honesty is not appreciated. 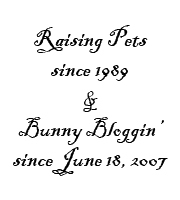 Haters will always be haters and even though I know for a fact that I am the least favored rabbit breeder in town, I am still going to speak my mind come what may. I would like to share my thoughts and feelings on the experiences that I had today. I posted photos of four rabbits that was available earlier today and out of the four, one was a little blind doe and the other was a smaller than usual little buck (we sometimes call them runts). If you have ever watch the movie BABE, you will know what a runt is and what usually happens to them in the slaughterhouse. I hope you also remember how famous BABE became in the movies. Of course these imperfect little bunnies raised a few questions among the bunny people here. There were also many assumptions about their imperfections. I totally understand why and they are valid questions in their own rights. 1. 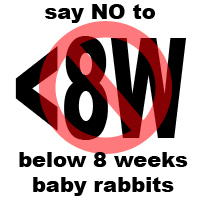 How can your rabbits produce blind babies when they are genetically sound and fed with the best food? 2. Why can’t she be bred if her blindness is not genetically linked? To be very honest, it can be a little frustrating when I think at the surface level of their questions but I did not disclose the reason she was blind for a few reasons. Firstly, if someone truly love an animal, they will not even bother to ask those questions and that makes it easier for me to make a decision. Secondly, I love to know people’s thoughts and that helps me to gauge how the general people think. Most of the inquiries also made me wonder why must every living creature be bred and why breeding becomes such a key factor to owning a pet. I do not think I will ever come to understand this part. So to answer to the above questions, I would like to write a long story about it so that no one dare say anything bad about Tru-Luv Rabbitry. But if they still insist, heck, HATERS WILL ALWAYS BE HATERS! So what happened to little Ms. Blindie here? Wanting to ensure the kits born here have higher chances of survival, I always like to see a little more milk in their tummy. I would normally turn mommy bunny over and let the kits nurse on her. On Day #2, just when she was about to finish nursing, mommy decided to give a hard kick. Poor Ms. Blindie flew across the room and landed on the floor with a thud. On closer inspection, I realized that she had a 2 inches cut from behind her left armpit all the way down to the middle of her chest area. I could see her ribs and I was totally devastated! Not wanting to take any chances, my eldest daughter and I took her to the vet to get more advice and perhaps we could give her some stitches. Being assured that kits have very high recovery rate, we went home with some antiseptic solution. We spent the entire week cleaning the wound and we were so happy that it dried up. She not only healed but was the biggest milk tanker! She continued to grow but we realized that her left eye was cloudy when it opened. We can only attribute the blindness to the fall. Perhaps the fall may have damaged something that has caused the blindness. If you think about it, wouldn’t blindness caused by genetics make both eyes blind? Her injury was on the left side and her blindness is on the left side as well. I do not think that is coincidence. As to the question of breeding, we would like her to have a good home. I personally think that it is hard enough to deal with blindness let alone childbirth. I tend to be more compassionate in this sense. We should not stretch someone or some living thing to the max or should I say that we should always compensate someone for their misfortune. Don’t blind people get better treatment these days? And that’s exactly the sentiments that I would like to have for this little doe. I want her to have a good life not only because she is blind on the left side. It is because she shares the same birthday as my daughter who was holding her in her palm as she walked into the vet clinic hoping that she will be alright. I want her to have a good life because my daughter told me today, “Daddy, please find someone nice for my little blind Belle” and I cannot break a promise made to my little child. I also received a phone call by a nice little young chap asking for our little charlie buck. He said something along the line of, “I want the most unfortunate one and the little charlie buck fits the bill”. I agreed immediately. As you can see, the little bunnies that gained much attention aren’t the perfect ones but one that is blind and another that is smaller than the usual. COMPASSION IS STILL ALIVE IN THIS WORLD!